Most BLANCO drop-in sink models are smartly designed with a flat sink rim so that they can be installed undermounted as well as topmounted to the counter. These sink clips should be used for undermount installation. When installing Silgranit natural granite sinks, ensure that additional support to the sink is also provided. Custom-fitted stainless steel bottom grids offer protection for your sink bowl bottom from scratching. Grids sit on the sink bottom on non-skid protective feet allowing water to drain below dishes. An opening in the grid allows easy access to the drain. Stainless steel grids can be washed in the dishwasher. These versatile and heat-resistant grids can also be used on the countertop for cooling baked items. This Danco Premium Sink Side Spray Hose provides an upgrade over traditional vinyl hoses. It features a quick-connect adapter that makes installation quick and easy. The kink resistant hose provides a quiet operation and it is designed to fit all side spray heads. Repair and renew your Shower quickly and easily: replacement escutcheon plate fits DELTA Shower Trim Kits . JAG Plumbing Products strives to bring customers the best products in Canada and make them available on the best online shopping platform: Homedepot.ca - Owned and Operated in Ajax, Ontario, Canada, JAG PLUMBING prides itself on offering Home Depot Customers durable, high quality, non OEM replacement plumbing parts. 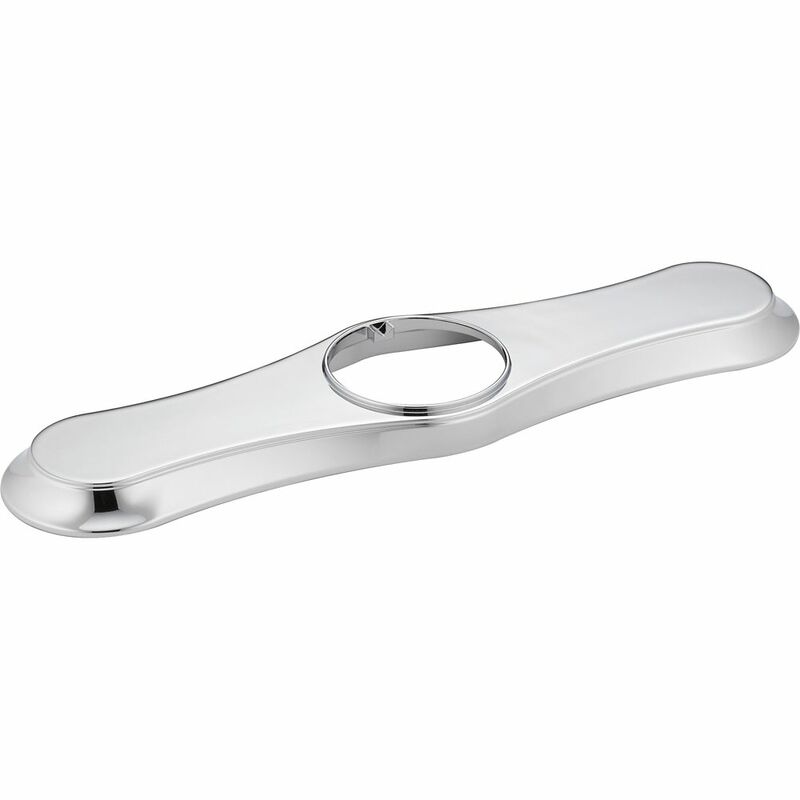 Escutcheon - Kitchen Install this escutcheon to cover up unused holes on your kitchen sink. Escutcheon - Kitchen is rated 5.0 out of 5 by 1. Rated 5 out of 5 by geof from Nice heavy duty metal with excellent finish Nice faucet but did not like the rigid plastic hoses and the oblong mounting nut.